Kesineni Nani has taken every road that leads to the development of Vijayawada. A modern-minded headman with zeal to work for his people - Nani has created history by bringing in the Tata Trusts to create 265 model Gram Panchayats in the Vijayawada Parliamentary Constituency. 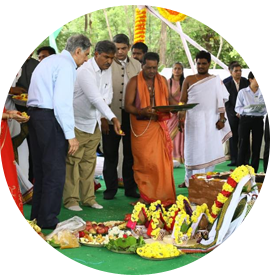 Following the combined vision of Mr. Ratan Tata and Nani to holistically develop Vijayawada using a cluster-based approach, the Tata Trusts’ team has carried out several initiatives in terms of health, education, employment and more. The Trusts have set up a dedicated project management unit in Vijayawada and continue to work with a strategic approach. Tata Trusts began their development journey in Vijayawada with a micro planning exercise to map the existing resources and challenges in every village of the constituency. This enabled the project teams to understand the region using data analytics and track change through real time dashboards. As part of the micro planning exercise, Tata Trusts created Village Developmental Plans for each of these Gram Panchayats in consultation with the local communities and officials. The Village Development Plans provided a microscopic view at the issues in each village and the resources required to create necessary solutions. 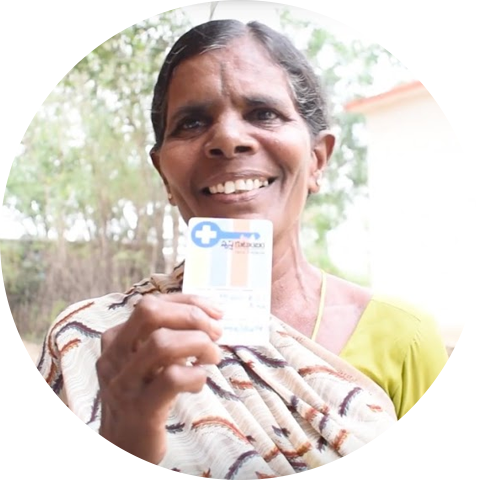 Kesineni Nani and Tata Trusts launched Swastha Kutumbam in December 2016, as a revolutionary healthcare program for more than a million people from the Vijayawada Parliamentary Constituency. The first-of-its-kind program is divided into 2 parts for effective delivery – Free Health Insurance Cards and Telemedicine Centres. Under the ‘Swastha Kutumbam’ health insurance program, over 2 Lakh rural families of Vijayawada have been insured for a medical cover of up to 1L rupees for each family member. 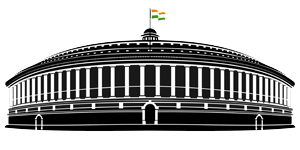 With the Swastha Kutumbam Telemedicine program, patients can now access point-of-care diagnostics and pharmacy services at the doorstep through the 20+ telemedicine health centres and mobile units that have been set up across the Vijayawada Parliamentary Constituency. Making Vijayawada Open Defecation Free (ODF) has been a top priority for Kesineni Nani. In collaboration with the Vijayawada Municipal and Panchayat bodies as well Tata Trusts, Nani has worked to ensure a healthy and hygienic future for the people of Vijayawada. One of the major causes for disease in the rural areas of Vijayawada was open defecation. Tata Trusts launched the Swachh Krishna Mission to make the villages ODF. 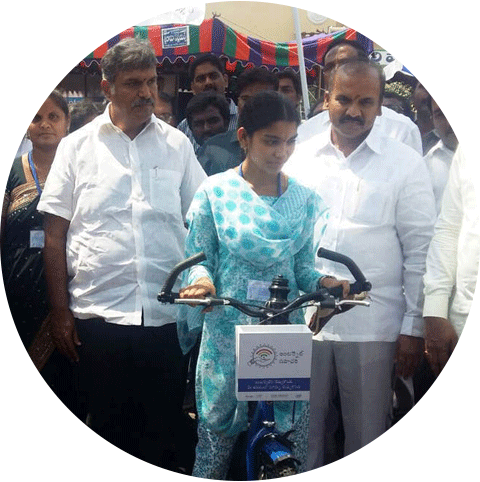 Given the success of the mission in Vijayawada, Tata Trusts partnered with 3 NGOs - CPF, MARI and AGS for rolling out the project all over the district. Kesineni Nani and Tata Trusts have been promoting internet literacy, as part of a multifarious plan to cultivate a culture of entrepreneurship among the people of Vijayawada, especially youth and women, and to bring awareness of the latest technological trends. Internet Saathi, as part of a collaboration between Google India and Tata Trusts, has opened up a whole new world of livelihood opportunities for over 3 lakh rural beneficiaries.